If you’re not yet convinced of the commercial impact digital technology and media have on businesses, take a look at Dominos marketing strategy. Dominos only took its first mobile phone order in 2010 when online sales accounted for less than 30% of revenue. Eight years later, Dominos digital transactions account for more than 80% of sales, and the smartphone app accounts for over two-thirds of those sales. If there’s one thing we know it’s that people didn’t suddenly start liking pizza, people always liked pizza. If that isn’t proof that digital marketing has a direct impact on return on investment (ROI), I don’t know what is. 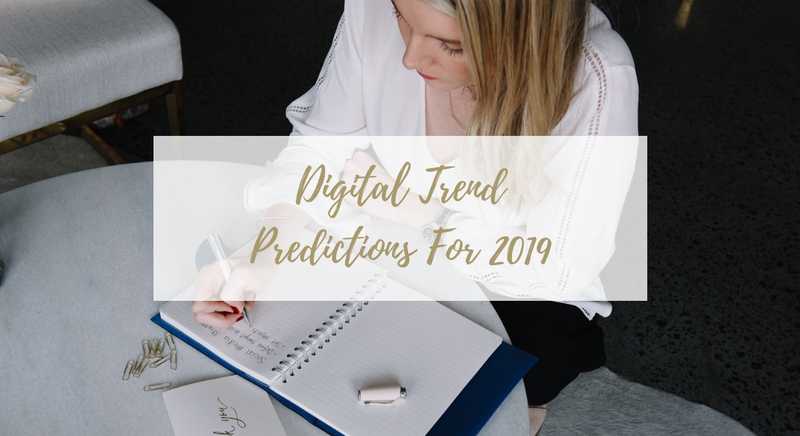 As such, here at Chronicle Republic we’ve kept an ear to the ground on the top marketing trends for 2019 so you can plan for the very near future. There will be an increasing demand for true customer-centricity. It will be key to ask: who is my consumer, what exactly are they consuming and how are they consuming it in 2019? Therefore, digital marketing will become radically individualistic. Over the next year, for example, huge amounts of money will be poured into LinkedIn’s advertising model “to help understand what people are actually consuming on the platform to make it more relevant” and personal, according to LinkedIn strategist Peter Weinberg. Redesigning an advertising campaign with customers at its heart will provide a more efficient service experience, will seamlessly integrate businesses and customers, will create new innovative ways to reach customers and ultimately deliver a more impactful advertising experience. It’s no surprise that lead generation advertising works incredibly well straight off the bat, it’s cheaper than traditional forms of advertising, it creates brand awareness and it saves time. However, lead gen advertising fails to build trust and demonstrate authenticity. Therefore, you get diminishing returns over time. Instead businesses should be focusing their attention to building a brand from the ground up – starting by pinpointing a brand message, giving this message meaning, creating useful content around this message and maintaining high standards around the content created. Yes, it takes longer for branding to really ramp up, but then it quickly becomes more effective. So, challenge lead gen advertising in your 2019 marketing strategy. An effective strategy may be to create an advertising campaign that is 70% branding and 30% lead gen.
A huge trend of 2019 will be customers’ hope of staying ‘in-platform,’ expecting to be able to complete a single transaction beginning to end directly in that platform. No longer do consumers want to be redirected, they are sensitive about providing their data to other platforms. With that in mind, making content that is platform specific will be pivotal for positive customer experience. In 2019 there will be a shift away from thinking about data towards thinking about audiences – a shift away from speaking to numbers to speaking to people. It will be more important than ever to humanise big data in order to understand who exactly consumers are, what audience they belong to and how to engage them. In order to do this a compelling narrative is key in bringing together consumers and businesses in order to achieve a satisfying ROI. A narrative can be created through email marketing, so take a leaf out of your Grandad’s book and get down to some serious storytelling. An informal tone can help build trust and humanise your business to the wary consumer. Data is also the reason for a growing lack of distrust in consumers, therefore it is important to humanise data to the point that consumers feel comfortable sharing it in order to improve advertising campaigns. Follow these trends and focus on what works for your business and you will have an advertising campaign that even Dominos would be impressed with.